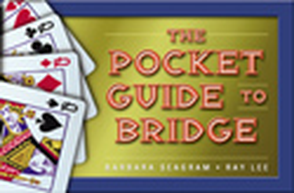 Planning the Play of a Bridge Hand, by the same author team, was named the 2010 Book of the Year by the American Bridge Teachers’ Association. Building on the success of that title, this book gives near-beginners a chance to practice the principles on which sound declarer play is based: count your winners, count your losers, make a plan. 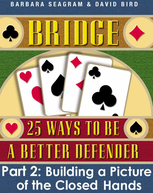 This is not just a series of problem hands, however. 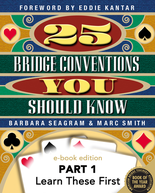 Each section contains a brief introduction of its topic, and the ideas are reinforced with carefully explained solutions and helpful tips throughout. Defensive Play at Bridge gives the near-beginner a grounding in sound defensive play and a chance to practice good defensive techniques, from the opening lead on. 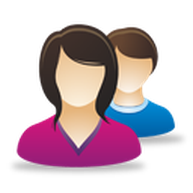 Each section revolves around a topic, starting with a brief introduction, and expanding on the ideas by giving problem hands related to the topic with carefully explained solutions. 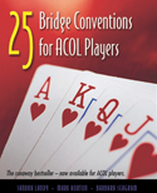 The same author team also wrote the award-winning book Planning the Play of a Bridge Hand, named the 2010 Book of the Year by the American Bridge Teachers’ Association. 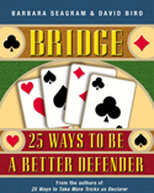 Both bridge teachers and students will find this book invaluable. 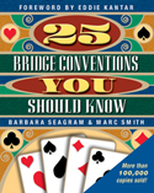 With this handy little book, you can: Learn a new convention, or extend your knowledge of it Learn and practice by yourself using the unique quiz format Practice with your partner using the specifically selected example hands, and compare your results with the recommended auctions. 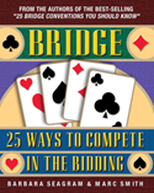 Do you ever need a quick hint about what to bid? Are you confused about what to lead from KJ10x? Have you forgotten what a reverse is? 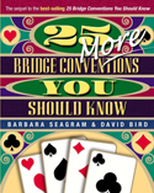 If you answered "Yes" to any of these questions, this is the book you need! 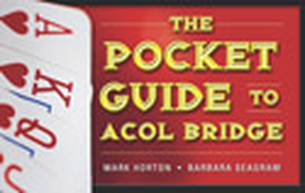 And as well, it will be perfect for those times when you want to point to something and say "Look partner, it says here you should have done this!" 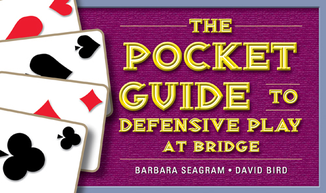 -- and win your argument! 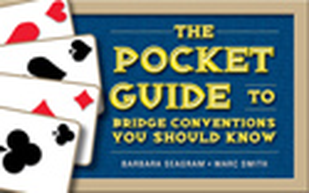 Using the same format as The Pocket Guide to Bridge, this book will provide a handy pocket summary of a number of popular bidding conventions. In a concise but readable manner, it summarizes the ideas presented in 25 Bridge Conventions You Should Know from the same author team — a book that is now the bestselling bridge title of the last 50 years (almost 150,000 copies sold in four languages). 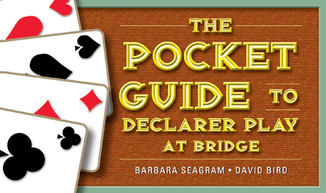 Using the same format as "The Pocket Guide to Bridge", this book provides a handy pocket summary of about two dozen basic concepts in declarer play. 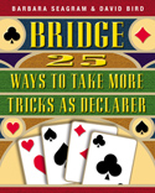 In a concise but readable manner, it summarizes most of the material presented in "25 Ways to Take More Tricks as Declarer", by the same author team.